I’m finally getting around to ripping last year’s Beatles remasters into iTunes, and I’ve been deferring Let It Be because, well, you know–the whole Spector Wall-of-Sound thing. My problem is that I have absolutely no issues with the mixes of the purely live tracks–I actually like them. But when the orchestras and choirs smother “The Long and Winding Road,” “I Me Mine,” “Let It Be” and “Across the Universe,” I’m a massively unhappy music lover. Now, I know what you’re going to say–because I thought about it, too: Why not simply rip McCarney’s remixed and resequenced Let It Be . . . Naked? Well, (a) as already noted, I like most of the mixes on the original collection; (b) Sir Paul and company wound-up over-producing the touted under-production–it’s stripped back, yeah, but also given a sonic Photoshopping to within an inch of its art, and, closely related, (c) the sound stage on the Let It Be . . . Naked is weirdly flat–there’s almost no depth to those remixes. Thus, I was still wondering what to do with Let It Be when? ?something occurred to me: The Beatles’ Past Masters had also been remastered–and disc two contained fabulous versions of “Get Back,” “Across the Universe” and “Let It Be.” (And, as a side-benefit, these are George Martin productions.) Do you see where I’m going with this? So let’s recap: By swapping-in the aforementioned alternate Let It Be songs, I manage to retain the quality of the 2009 remasters in all but two cases; I eliminate those vastly annoying wall-of-sound moments; and I give almost half of the collection back to George Martin, who had originally produced it upstream of Phil Spector. And additionally, I’m able to keep the original sequencing of the collection (which is far superior to Sir Paul’s retread). During lunch today, I ripped into iTunes the songs needed for my reconsidered version and matched the levels of the swapped material to those of the remaining songs from the remastered Let It Be. And there you have it–with mindboggling Fan Hubris, I’ve managed to “fix” a recording that’s been bugging me for 40 years. For me, Let It Be is now completely wince-free, but, of course, your own mileage may vary . . .
[Updates: Upon further consideration, I’ve opted to use the basic track of “Across The Universe” found on the second disc of The Beatles Anthology 2. 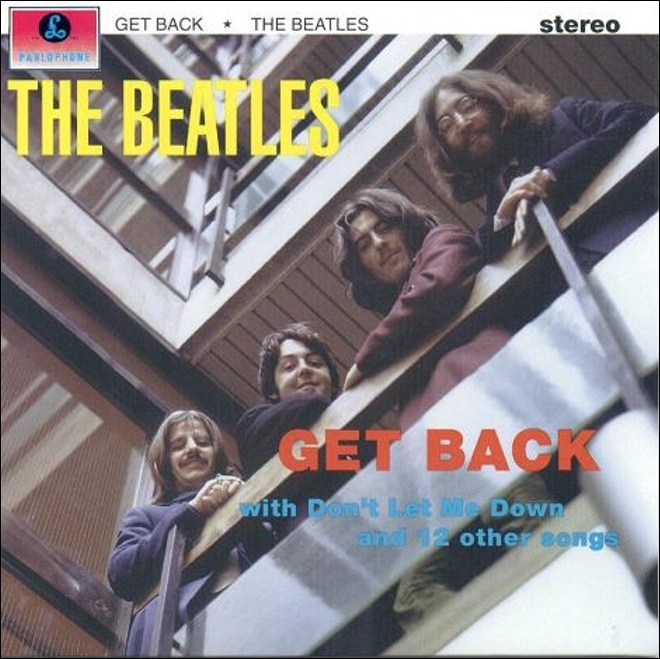 It takes the song down a semi-tone to its original speed, dispenses with the non-Beatle backing vocals and completely loses the sound effects.